Happy St. Patrick’s Day at Bibliopharm! Nitrate-free corned beef and locally grown storage potatoes, cabbage, and carrots. We had to import the Harp and Guinness. 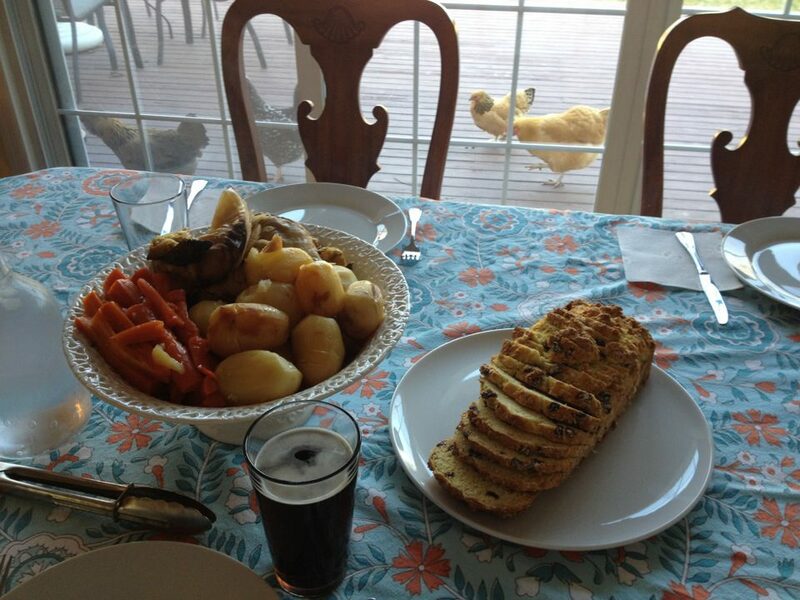 The chickens want some too! It’s so easy to make… In a dutch oven, place the corned beef and bottle of Harp or other lager. Bake at 300F for about 2 hours. Add the thick-sliced cabbage and peeled potatoes and carrots. Bake for another 2 hours. Serve with rye or Irish soda bread.